Twitchy Irken 128379. 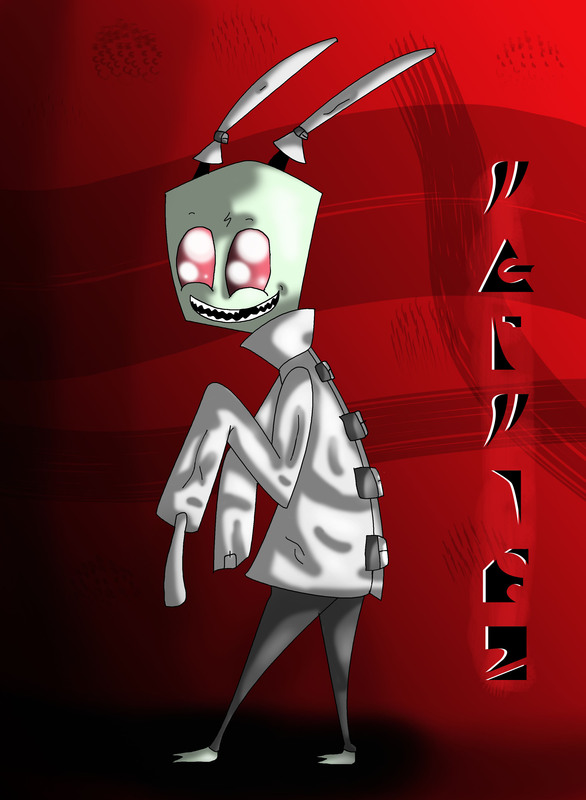 My poor insane OC....... HD Wallpaper and background images in the Invader Zim FanCharacters club tagged: invader zim invader zim twitchy irken oc ocs irkens male. This Invader Zim FanCharacters fan art might contain segno, manifesto, testo, lavagna, poster, anime, fumetti, manga, and cartoni animati.